Andrew Yorke has volunteered to take over calling the Tuesday night bingo on a permanent basis following his stint at filling in last week. Ken Moss took over in January 2014 but has happily agreed to hand over the reins to Andy. He said, "I agreed to call the bingo to help out at the club earlier this year but it can sometimes be a rush getting all my other work done and back in time so I am grateful that Andy wants to take over. I will still be there to fill in if needs be but I am sure that he will make a great bingo caller!" 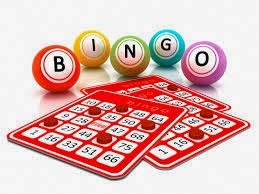 Bingo starts every Tuesday night from 9.00pm and both members and non-members are welcome to play.